Peaches, peaches, peaches. I love this time of year! In North Carolina, we start to get farm fresh peaches in May and can usually get them through the better part of the summer. No matter where you are in the country, you should be able to find sweet, delicious peaches at your local farm stand or grocery store so you can make this amazing peach and blackberry crisp. 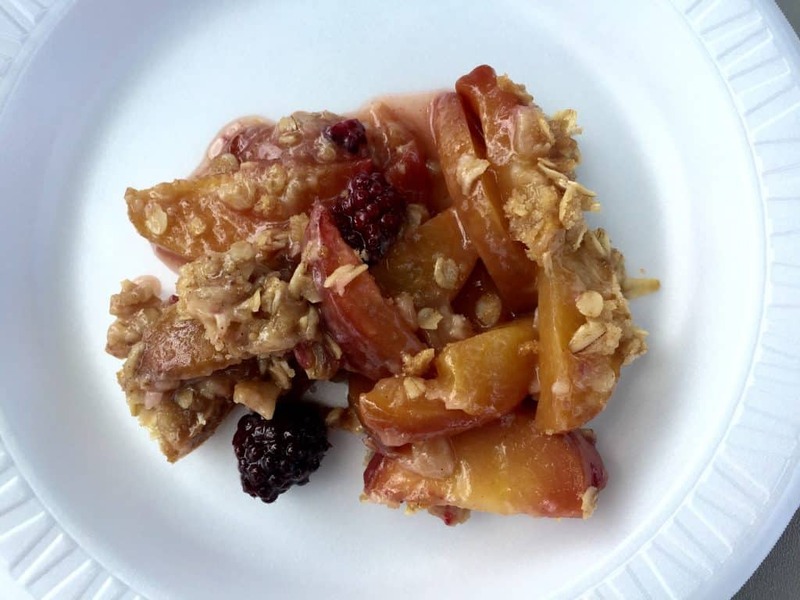 This peach and blackberry crisp is EMBARRASSINGLY easy. So easy. We had a weekend tennis cookout this weekend and I needed to make an appetizer or a dessert. I went with dessert. As you can see from the photo below, it was enjoyed by all who had an opportunity to test it out. And, for those of you who didn’t get a taste… you really missed out. Peaches! 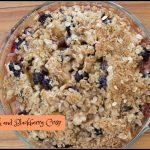 Easier than apple crisp – no peeling! Blackberries are also pretty easy to find this time of year and they are probably pretty sweet. If not, I toss my blackberries with about 1 tablespoon of sugar to create a little more sweetness before putting them in the pan. Definitely toss the peaches in about 2 tablespoons of sugar while you mix the topping ingredients. 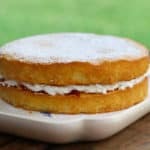 This recipe only needs 2 to 3 tablespoons of sugar for the entire dessert – not a bad amount at all! 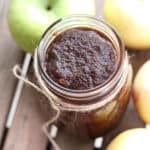 But don’t think you can skip it altogether – the sugar on the peaches will combine with the topping and the natural juices from the fruit to make a lick-the-plate delicious sauce. If you do not eat gluten-free, by all means, use your regular flour! 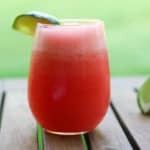 But, if you are gluten-free, this recipe is one of those recipes that you can enjoy, share with your friends, and no one will notice anything amiss. You use such a small amount of flour – only 1/3 of a cup. 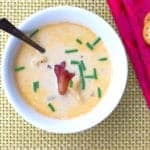 I usually have the King Arthur flour around the house so that’s what I used for this recipe but you can use whatever you have. I also used Cabot unsalted butter but if you have salted butter, use it! It won’t change the recipe a bit. 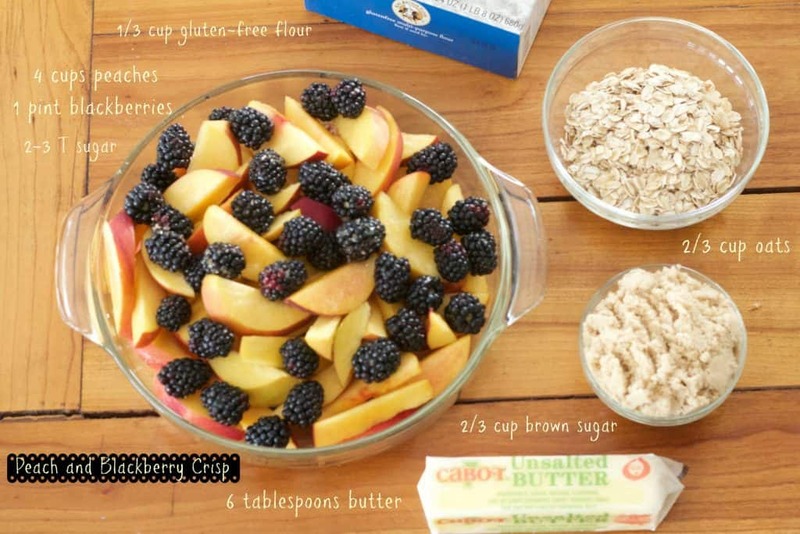 Peach and blackberry crisp – easy peasy! The funny story about this dessert is that we made it in the morning, thinking that I would need to bring it to a cookout around 4 or 5 in the afternoon. Haha. My daughter and I played a nailbiter of a tennis match in the annual parent-child tennis tournament in the scorching sun and then leisurely headed over to the cookout… Only to find out that we had, in fact, missed the cookout. The cookout was not at 4 or 5. The cookout was, apparently from 12 to 2 – right when we were melting into the earth playing tennis in the middle of a beautiful, but ungodly hot, field. No worries. 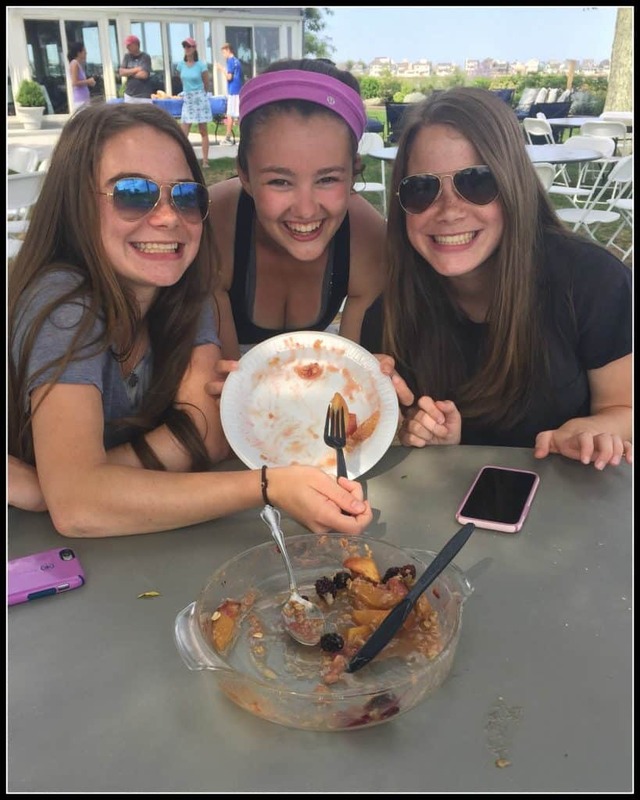 We found some forks and some extra plates and shared our peach and blackberry crisp with friends. We all made quick work of the crisp. Julia and I had thirds – we earned it. 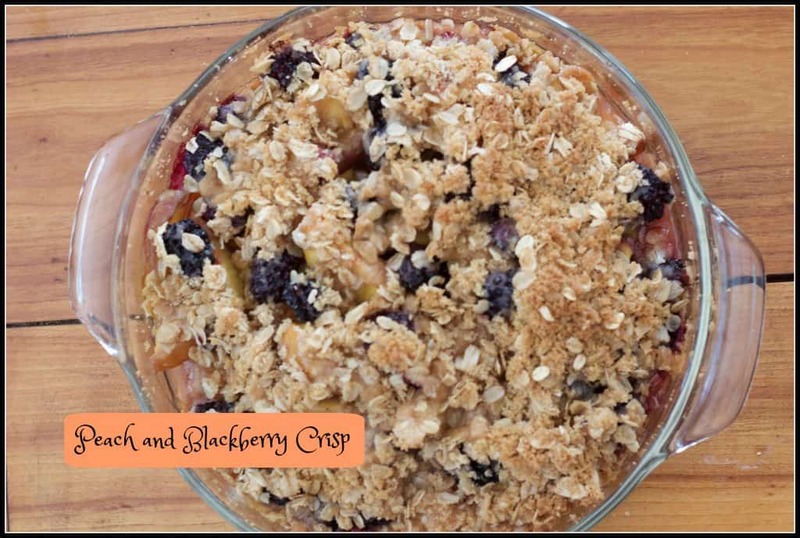 Peach and blackberry crisp – devoured! 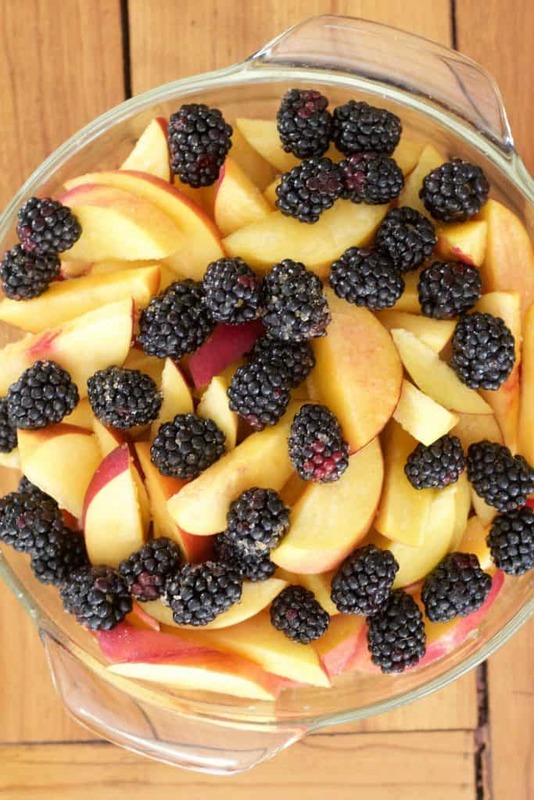 This peach and blackberry crisp is embarrassingly easy! Slice peaches. Toss with 2 T sugar. 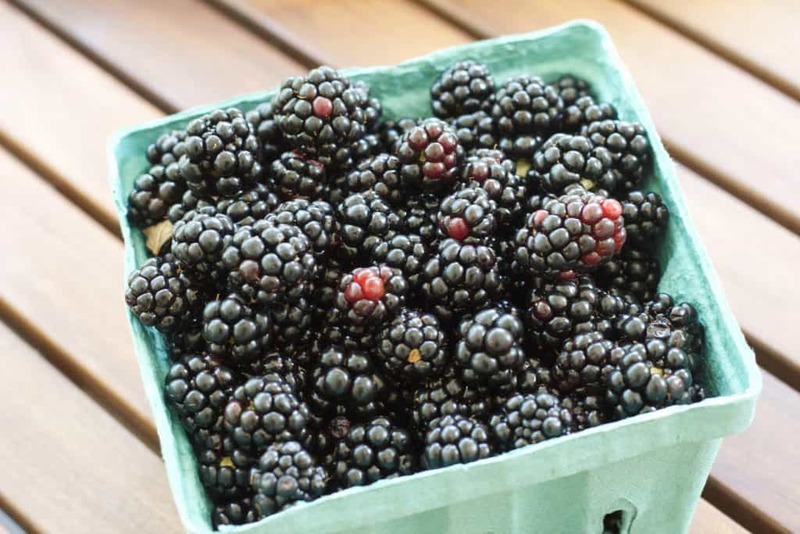 Toss blackberries with 1 T sugar. Using two knives or a pastry blender, combine flour, brown sugar, and butter. Add oats. Add cinnamon and nutmeg. Spray 9 inch pie pan with a non-stick spray. Dump peaches into pie pan. Top with blackberries. Evenly spread crisp mixture over the top. 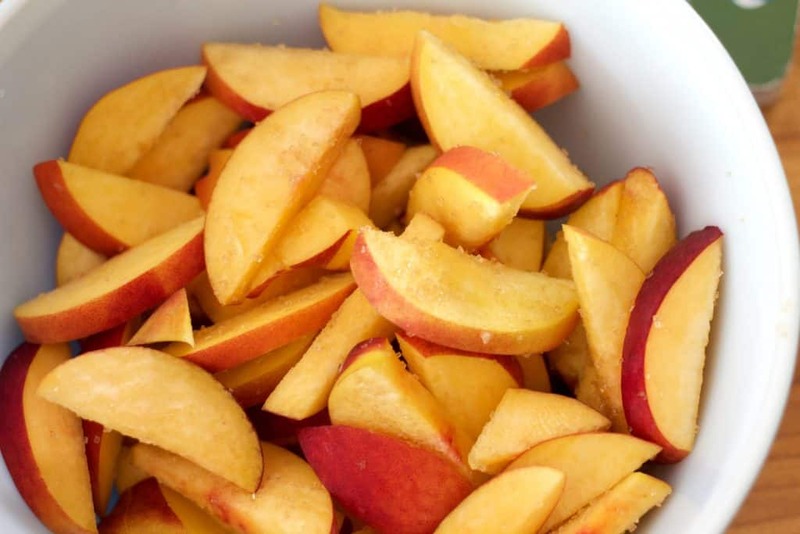 For more delicious peach recipes, check out all today’s posts from the Sunday Supper Family! I love the combination of peaches and berries in peach desserts! Your crisp looks amazing! Thanks, Liz! The berries were LOVELY in this. This look incredibly good! Simple and delicious, my kind of dessert! Peaches have been up and down this season!! 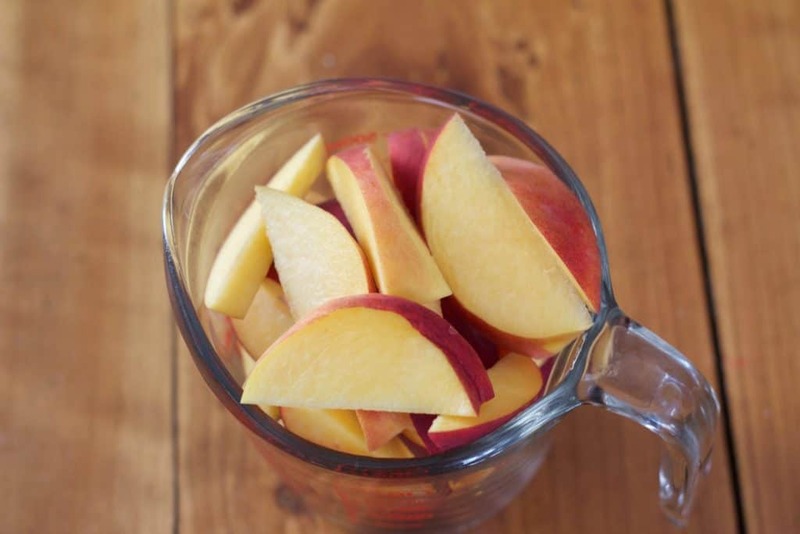 I have been enjoying some really delicious nectarines lately… wondering what was up with peach season?? But you’re right – hard peaches will cook up just fine!